Silversmithing and jewellery tool skills with practical examples. Wato wato I have been a bit busy of late, I also look forward to sharing some great news in the not too distant future, just waiting to finalise before I post about it. I feel it is very important to point out to anyone looking to expand their possibilities, regarding making a living as a jeweller and or a silversmith. A website is, I would venture to suggest, not a luxury but a necessity today. I don’t have to point out the obvious of the ‘smallness’ of the world of e-commerce. What is not so obvious is the knock on effect it has in the early stages of a making journey today. The world is awash with makers and outlets, Etsy and Ebay to name just two. Imagine, if your goal is to attract the attention of, say galleries. A professional website can, and does, highlight you out as a person who takes their craft seriously, less someone who is ‘dipping their toe in the water’ as it were. It is a banner, a personal calling card that says, I invest in myself and I believe in what I do enough to present it professionally. Presenting a standard that says to potential outlets, you can rely on my professionalism and a pride in work created to be a great option for them to represent you. This gives them less to concern themselves about regarding how well you will work together, as your professionalism and quality is on display for all to see. Whilst attending College it is easy to loose sight of the end goal of supporting yourself, also how to best promote your work, I know I did. For those of you attending courses, with an eye on the future I would respectfully suggest you line yourself up as a priority, as when you leave education, that it, your on your own. I know what your thinking ‘when I get better, when I have a defined style, when I have stock, its too much money’ ect. I will try to address some of the issues as I see them, I would be fascinated and grateful if anyone would care to comment, please do. Mike at Digital solutions could reasonably be called a philanthropist. A man who was at the start of the internet and could so easily retire. He chooses to continue, as I see it, pretty much for the love of it. It will cost you nothing to enquire, if you are local then the one on one meetings, highlighting options and possible revisions, are invaluable. Mike also has clients from overseas, so distance is not a problem. Being a musician and artist himself, he has a great understanding of us temperamental creative types, his endless patience is a great confidence booster. If you look at my site, don’t get hung up on the style. I’m sure you would have done it differently, that is nothing to do with Mike, it is my choice. The beauty is that you can show him examples of what you see as great practice and he can create a site using the examples you give him. I encourage you to drop him a line, people with such business skill and experience are rarely this approachable and understanding. You will not find a trace of sarcasm or arrogance, just a seamless flow of ideas, born, as it is, of real world vast and varied experience, priceless. Another advantage is he has experience of making sites to cater for jewellery. If you look at the above link for my very great friends Clair and Paul Pennington, who incidentally introduced me to Mike, you will have some idea of the scope of his skills as a web designer. When I get better? I now know that presenting and promoting work is a skill on its own. I feel bound to say I neglected this, wrongly assuming that work would stand out by itself. I shudder to think now how lazy my thinking was in light of what I now have seen to this point. Like any skill it needs to be worked upon, having the commitment to a website early on will encourage you to continually improve on both fronts. The marriage of the two vital disciplines will enable your creative process to gain at a pace less hindered by the commercial realities of making your work attractive to a variety of buyers. Your journey should be far more linear than I have experienced. Without the exposure you can’t sell. Materials are expensive, what will you do, keep making, borrowing money to make a mound of work no one sees. Please think about it, your website should grow with you, giving you a timeline that will be far more comforting to potential purchasers of your work. Making a recognisable style is very difficult, I would respectfully suggest that having a website early on will focus your attention, making you more aware of how you will be viewed by continually facing the realities of comparing your presentations with other similar sites. I dont want this post to sound too preachy, however I don’t want others to fall into similar, avoidable, holes that I have found myself, up to, and including this point in my journey. I am over the moon with my new site, I don’t see anyone as a competitor, rosy spectacled as I am deep down, if someone chooses your work over mine, great, they didn’t think that much of mine to begin with. As with most things I seek to make genuine connections in a world of superficial saccharine sweet processes. All these things taking away much of the joy of great honest and open company. I had a hope of a better life, a dream if you will. Along the way it has been my experience that many of those who could help, for whatever reason, choose not to. If I can, I will always try to pass on any tips to prevent anyone else suffering similar poor outcomes at the hands of the ever present, and numerous dream destroyers. If you choose a path of making for a living the setbacks are numerous and oftentimes soul destroying. When I look at the professional photography, this awesome new website and view my work, open as it is to the whole world. I am very glad I took this path and strongly encourage anyone else to, ‘see the doughnut, forget the hole’. There is a world of fantastic people out there in a sea of mediocrity and conformity that would appear to take a jaded view of dreamers such as us. Where possible I will share them with you, as and when I am fortunate enough to meet them. Go on, step it up a gear, give Mike a call. I would also welcome any comments about my new site, suggestions, negative, as well as anything else you may wish to say. All my very best wishes. P.S. I feel it appropriate to point out that neither do I seek, nor do I receive any payment from Mile personally or from his company Digital Solutions. This entry was posted in Uncategorized by stuiesilversmith. Bookmark the permalink. I looked at your website a couple days ago from my phone, and was very impressed with how easily it navigated. my phone was being very fussy and wouldn’t let leave a comment here on the blog, but I wanted you to know that the site looks great. The biggest highlight for me was that in the gallery tab, your vessel image actually rotates. That just made my day! 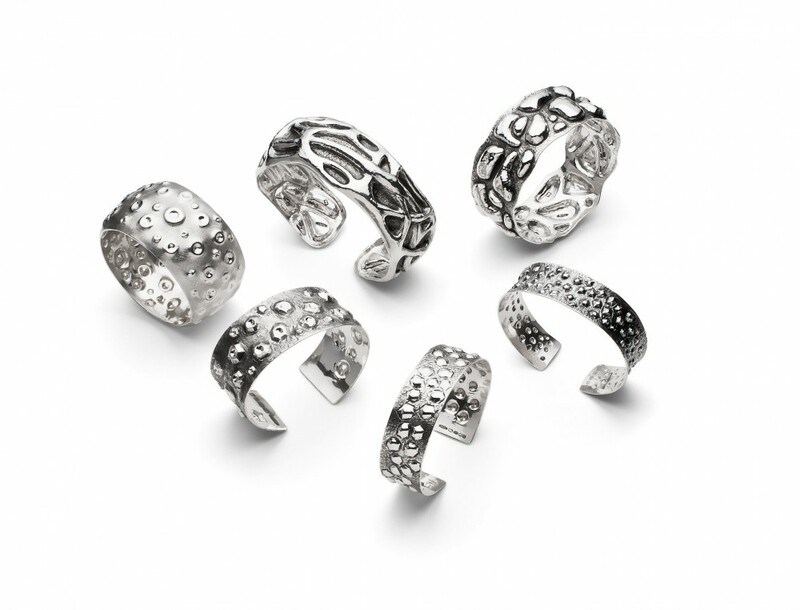 In metals, all our pieces tend to be in the round but we never photograph them as such. very nice sir!